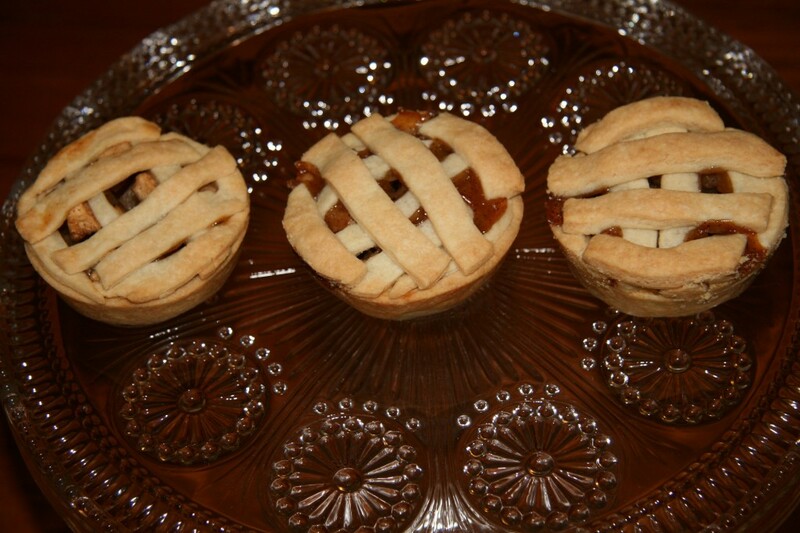 Mini apple pies in honor of Presidents’ Day! Want to add a little sparkle to your cakes? These sparklers worked great! We visited some friends in Maryland for Presidents’ Day weekend and I knew I wanted to bring some sort of treat for everyone. And since it was Presidents’ Day, it had to be something patriotic. I figured what is more American than apple pie? 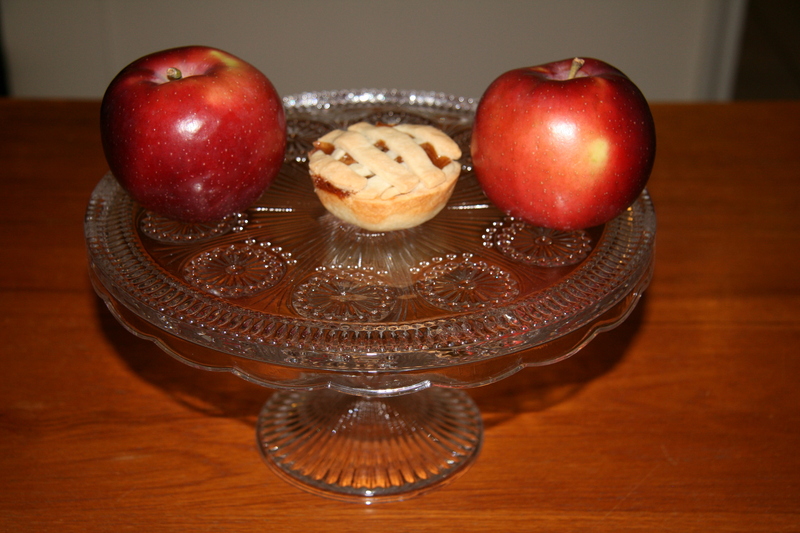 I found a recipe for mini apple pies on Citronlimette.com, a new cooking blog blog I came across. Overall, they came out great. I just made a few changes to the recipe for future use (such as using less water and salt in the dough). I doubled the amount of dough for the same amount of filling because really the crust is the best part of the pie. I wanted to be sure I had enough to make a nice and thick crust. When making the dough, I found the best way to mash the cold butter into the flour was to use a potato masher. The apple filling was perfect. After letting it sit a bit I noticed there was a lot of juice on the bottom of the bowl. After I filled each crust with the apples, I spooned some of the juice on top. To fill a cupcake tin with 2-inch wells, I cut circles of dough 3.5 inches in diameter. The finished product was really cute, and the perfect bite-sized snack. Mash the butter into the dough using a potato masher until completely combined. Using an electric mixer, add the salt and sugar and then the water until a dough begins to form. Knead the dough until it is completely smooth. Wrap in plastic wrap and refrigerate for at least 30 minutes. Peel and core the apples and cut them into very small pieces. Then combine the white sugar, brown sugar, cinnamon, salt, flour, and vanilla into a large bowl. 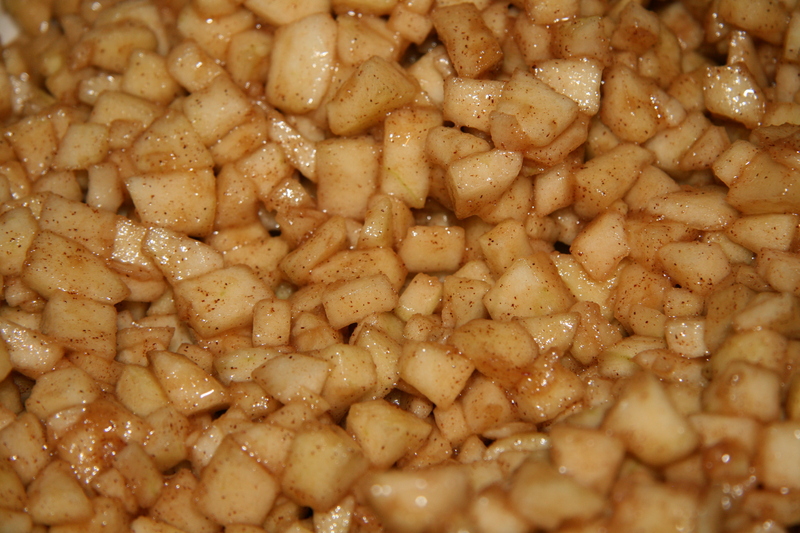 Add the apples to the mixture and stir until completely combined. 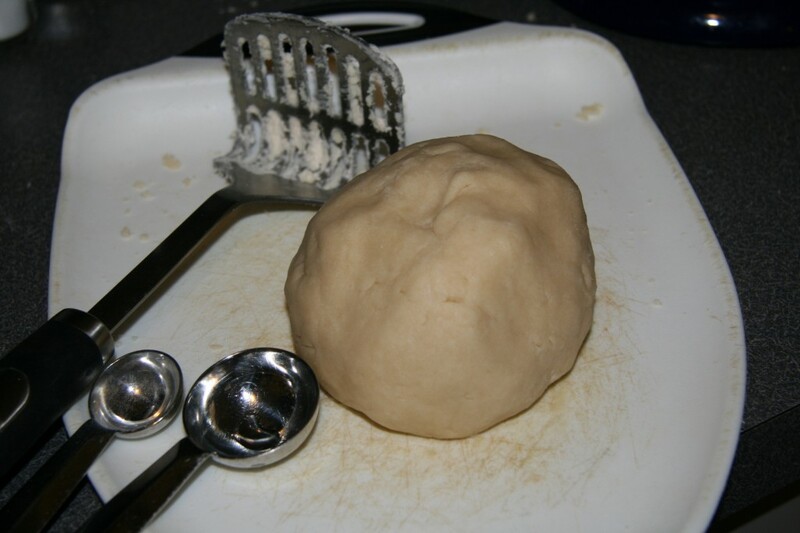 Take ¾ of the dough and roll it out on a floured surface. Cut 3.5-inch circles with a cookie cutter and place inside cupcake tins lightly sprayed with Pam. Poke holes at the bottom of the dough with a fork. 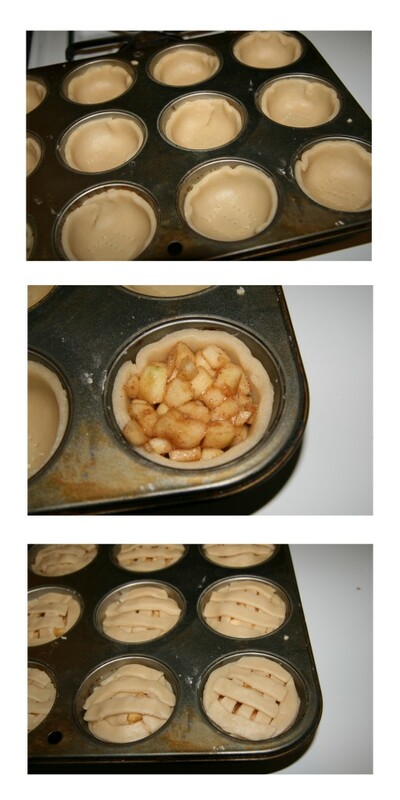 Fill each crust with a few spoonfuls of apple filling and spoon some of the juice on top. Roll out the remaining dough and cut 3-inch circles of dough using a cookie cutter. Then cut strips from these circles and place them on top of the pies in a lattice pattern. Bake at 375 degrees for 35-40 minutes. Let cool completely before removing from cupcake tin. 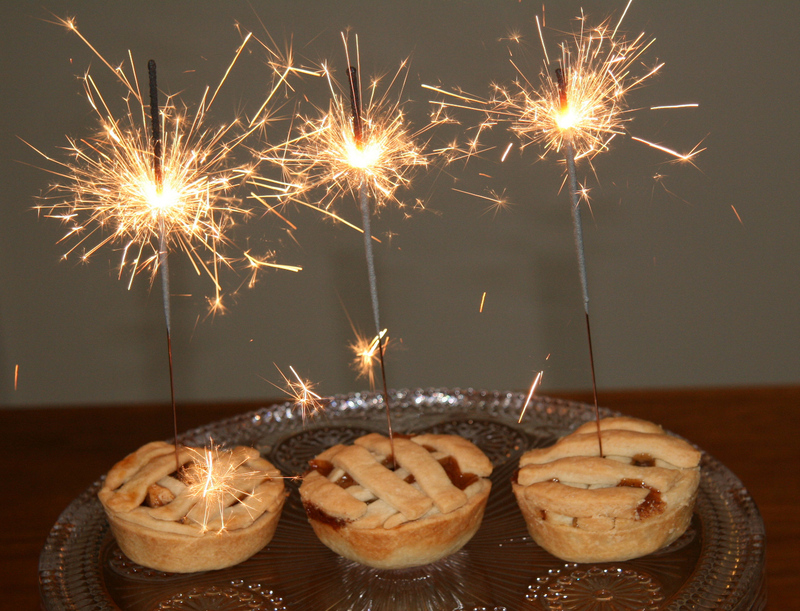 One Response to Mini apple pies in honor of Presidents’ Day!